This tour is also known for the debut of the song "The God That Failed". 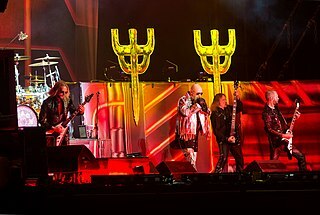 On the last date of the tour in Miami, famed lead singer of Judas Priest, Rob Halford (who at the time was the singer for Fight), sang guest vocals on stage for a performance of "Rapid Fire" from his band's 1980 album British Steel . 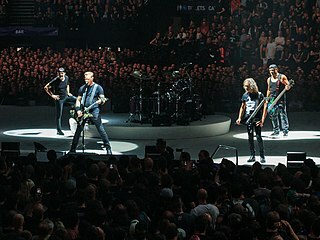 This was the last tour that Metallica played before tuning down to E♭ standard, due to James Hetfield's deteriorating vocals from the recent large-scale tour in support of Metallica , commonly known as the Black Album. This tour was also the first tour featuring Lars Ulrich's down-scaled drum kits. According to Ulrich's interview on guitar center in 2014, two rack toms were removed from his original drum setup thus allowing the hi-hat cymbal and ride cymbal to be placed nearer to him and making his drum easier to play. 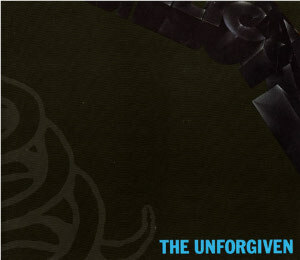 "The God That Failed" is a song by American heavy metal band Metallica, from their 1991 self-titled album. The song was never released as a single, but was the first of the album's songs to be heard by the public. 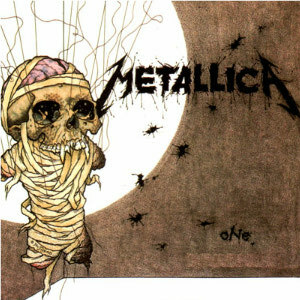 It is one of Metallica's first original releases to be tuned half a step down. Robert John Arthur Halford is an English singer and songwriter. He is best known as the lead vocalist for the Grammy Award-winning heavy metal band Judas Priest. He is famous for his powerful wide-ranging voice and his now-trademark leather-and-studs image, both of which became revolutionary in heavy metal. In addition to his work with Judas Priest, he has been involved with several side projects, including Fight, Two and Halford. Supporting acts for this tour were Danzig, Suicidal Tendencies (whose bassist Robert Trujillo would join Metallica nine years later), Candlebox and Fight. Alice in Chains was supposed to be one of the opening acts, but due to vocalist Layne Staley's drug addiction, they were forced to rescind the offer. As a result, Candlebox replaced Alice in Chains for the remainder of the tour. However, Jerry Cantrell joined in with Metallica on "For Whom the Bell Tolls" during their August 9, 1994 Oklahoma City, Oklahoma performance. Suicidal Tendencies is an American crossover thrash band formed in 1980 in Venice, California by vocalist Mike Muir, who is the only remaining original member of the band. Along with D.R.I., Corrosion of Conformity, and Stormtroopers of Death, they are often credited as one of "the fathers of crossover thrash". Their current lineup includes Muir, guitarist Dean Pleasants, bassist Ra Díaz and drummer Dave Lombardo. Notable musicians who have contributed to the band's studio or live activities include guitarists Rocky George, Mike Clark and Ben Weinman, bassists Louiche Mayorga, Robert Trujillo, Josh Paul and Stephen "Thundercat" Bruner, and drummers Amery Smith, Jimmy DeGrasso, Brooks Wackerman, David Hidalgo Jr., Thomas Pridgen and session musician Josh Freese. ↑ Sunday Old School: Alice in Chains Metal Underground.